The Perimeter Loop is the most straightforward and frequently-used layout. 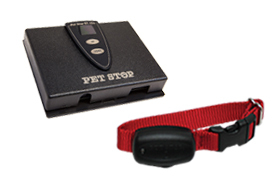 It follows the boundaries of your entire property, allowing your pet to move freely between the front and back yard. The Hourglass Loop encloses the front and back yards, but not the space between. 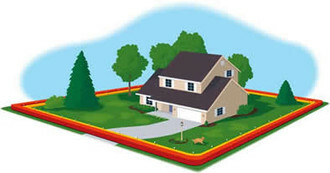 Your pet can roam the yard freely, but the only he or she can cross over from front to back is by passing through the house. The Double Loop partitions off either the back or front yard. Generally, this is used only when a full perimeter or hourglass layout isn’t possible due to landscaping or some other obstacle. The signal wire connects to a transmitter usually that sends out a short-range coded radio frequency. 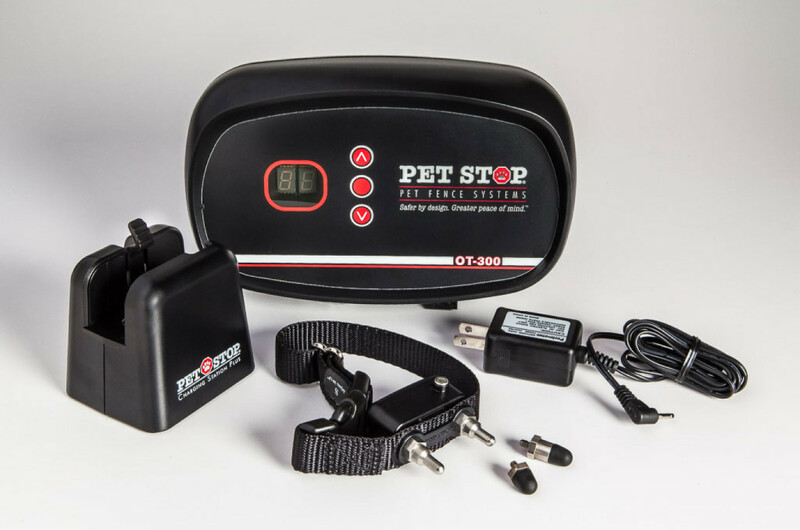 Your pet is fitted with a special receiver collar that issues a warning, followed by a mild electric correction, when it comes within the signal field. The correction is an unpleasant (though physically harmless) sensation that discourages your pet from lingering near or crossing over the boundary, and is adjustable for different breeds’ physical characteristics and temperaments. 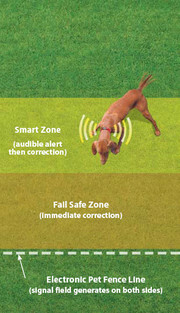 Marked flags are set around the perimeter to give your pet a visual cue to help recognize his new boundaries. We base our approach to fence training on the principle that while some degree of negative reinforcement is necessary, it should not be the primary teaching tool. 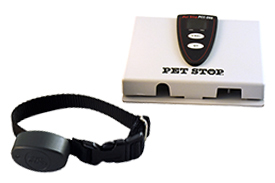 Instead, we focus on positive reinforcement, using praise and rewards to encourage your pet to avoid the boundary while striving to keep the corrective stimuli to a minimum. 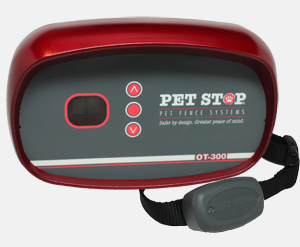 Our on-site training with certified trainers and ongoing phone support will make it easy as possible for you to train your pet to the fence system. On average, training takes between one and two weeks. The equipment we use for our installation service is of higher quality than the do-it-yourself products that you can buy. The PCC-200 Receiver is our most economical receiver and comes with the PCC-200 System. It features a three-level progressive correction and a one-year warranty. The UltraElite Receiver is powered by replaceable lithium battery technology and comes with a two-year warranty. The EcoLite Plus is the first professional-grade receiver that permits recharging.